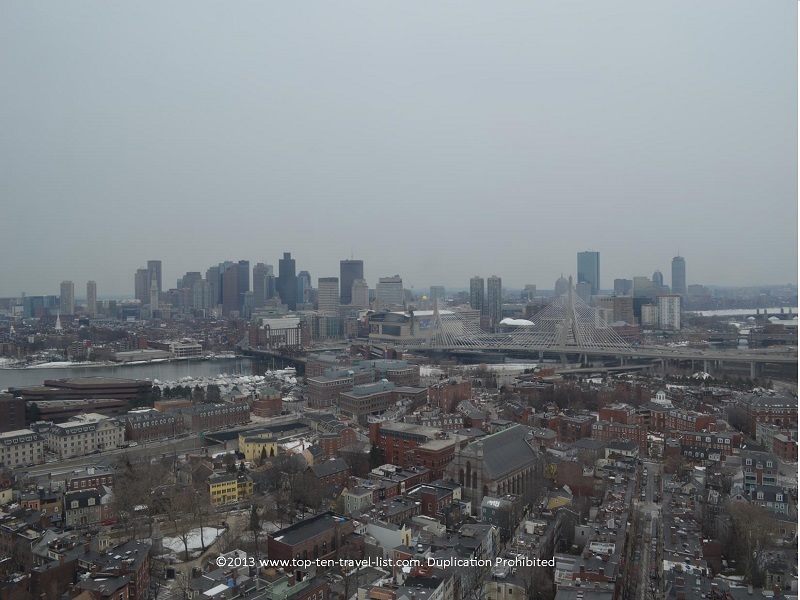 Exploring New England's Past: Beautiful Historic Massachusetts & Rhode Island Architecture - Top Ten Travel Blog | Our experiences traveling throughout the US. 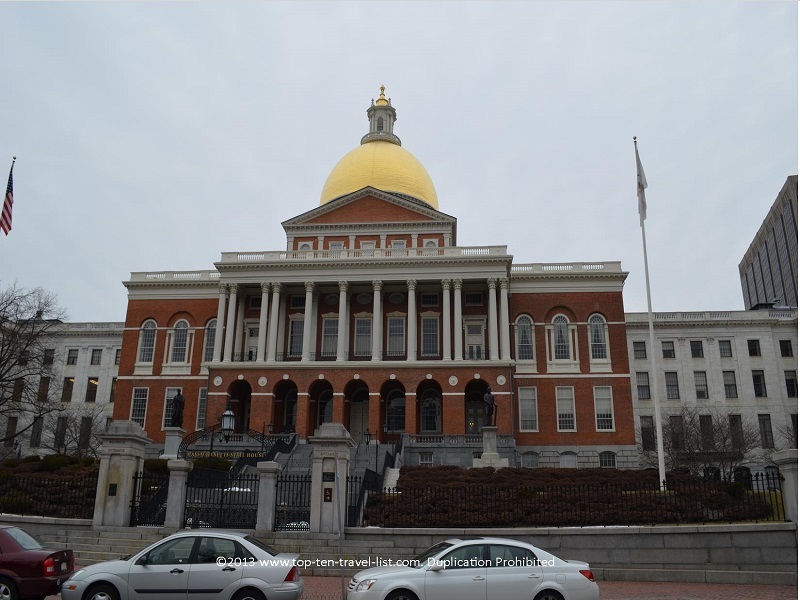 New England is home to some of the most beautiful architecture in the world. Massachusetts and Rhode Island are no exception. 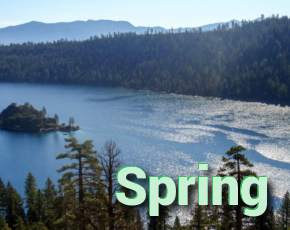 Both of these gorgeous states are comprised of historic towns with charming historic buildings. Many of these buildings are over well over 100 years old. Below I have compiled an assortment of beautiful pictures taken around Massachusetts and Rhode Island. This is just a glimpse of several of the beautiful historic places you will find. Everywhere you turn, especially in Boston, you are surrounded by gorgeous architecture of the past. 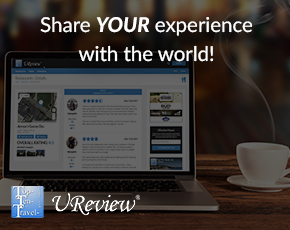 Enjoy the pictures and be sure to share some of your favorite historic buildings. 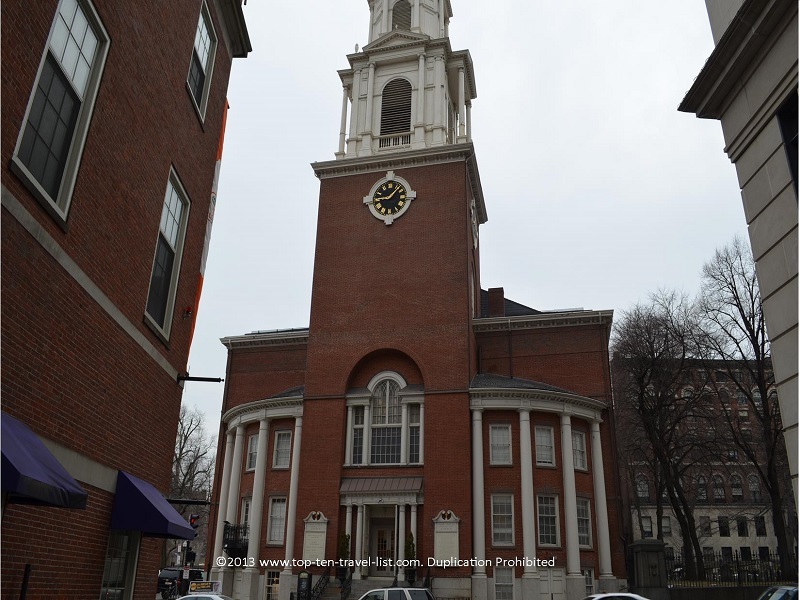 Significance: Faneuil has served as a meeting hall since 1742. Many prominent figures have made speeches (regarding America’s independence from Great Britain) here, including Samuel Adams. Significance: King’s Chapel was founded back in 1686 and still uses the same pulpit (speaker’s stand) which is the oldest being used in the US. 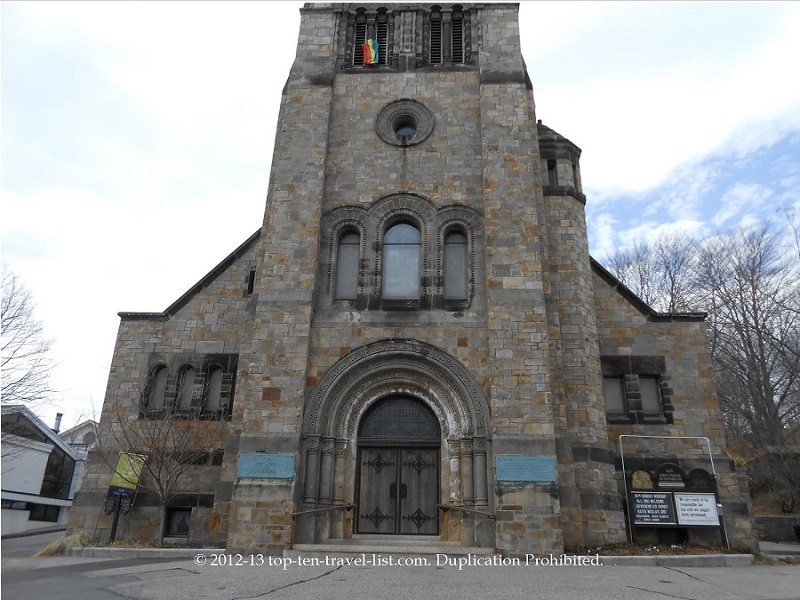 Significance: William Lloyd Garrison gave an anti slavery speech at this church on July 4, 1829. 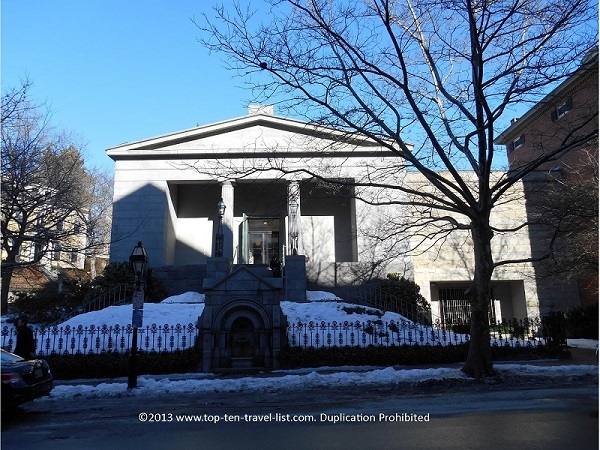 Significance: Designed by Charles Bulfinch, a prominent architect at the time. The beautiful dome is now covered in 23K gold to prevent leaks. The land was formerly owned by the 1st governor, John Hancock. Significance: Originally established as a Puritan meeting house. 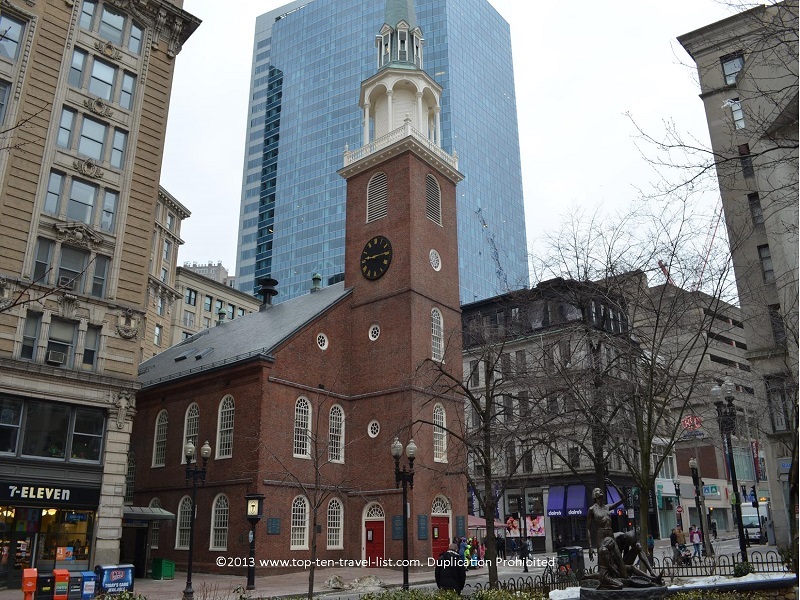 Many historic figures have passed through including Judge Sewall (he apologized for the Salem Witch Trials at this meeting house) and Benjamin Franklin (he was baptized here). 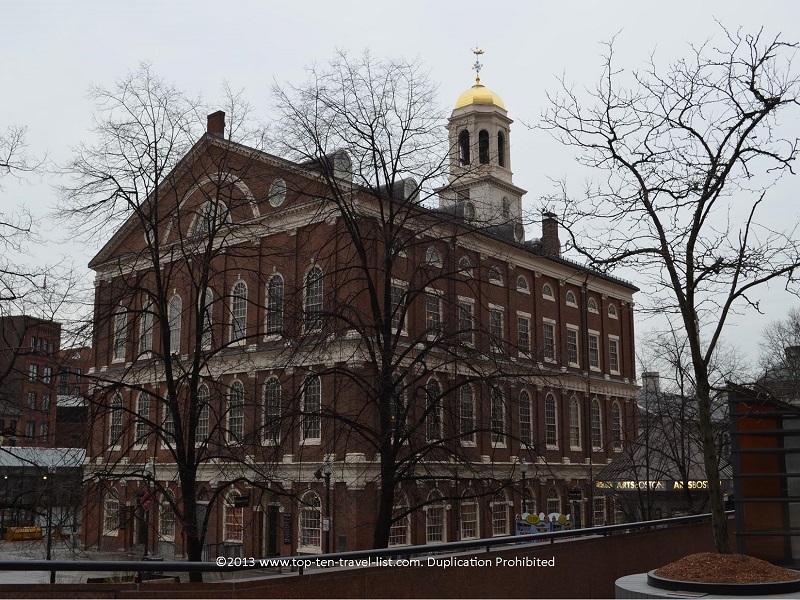 Significance: This was the site of the first public reading of the Declaration of Independence (1776). 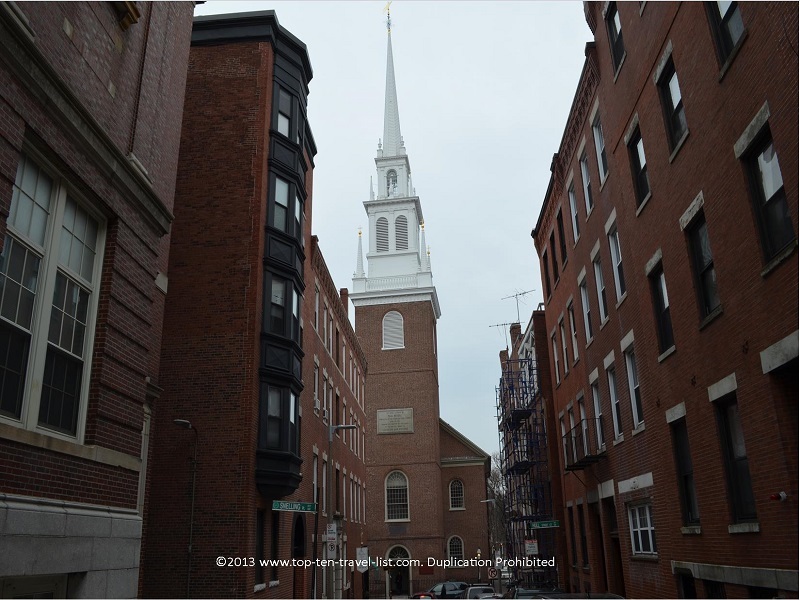 Significance: Old North Church is Boston’s oldest church building. This is also where the phrase “One if by land, and two, if by sea” originated (where Robert Newman signaled the arrival of the British with the lighting of 2 lanterns). 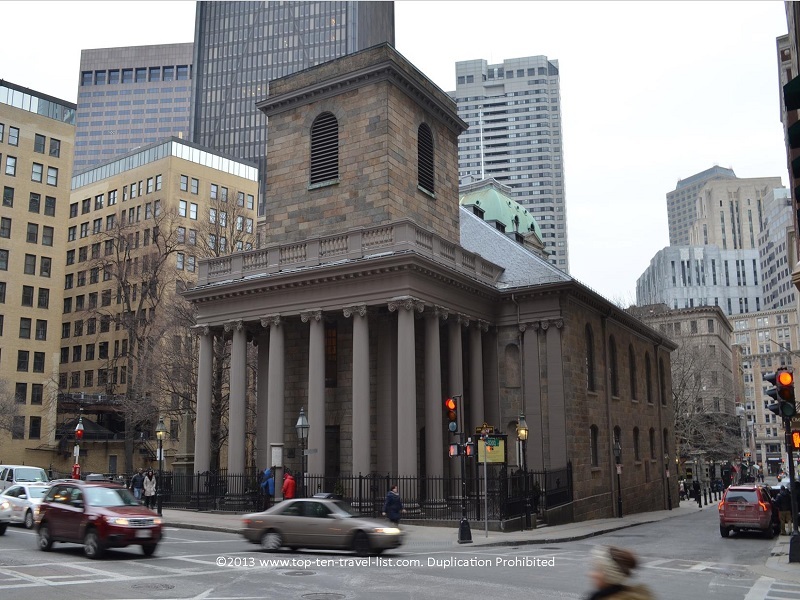 Significance: First Church is one of the oldest operating Protestant churches in the US. 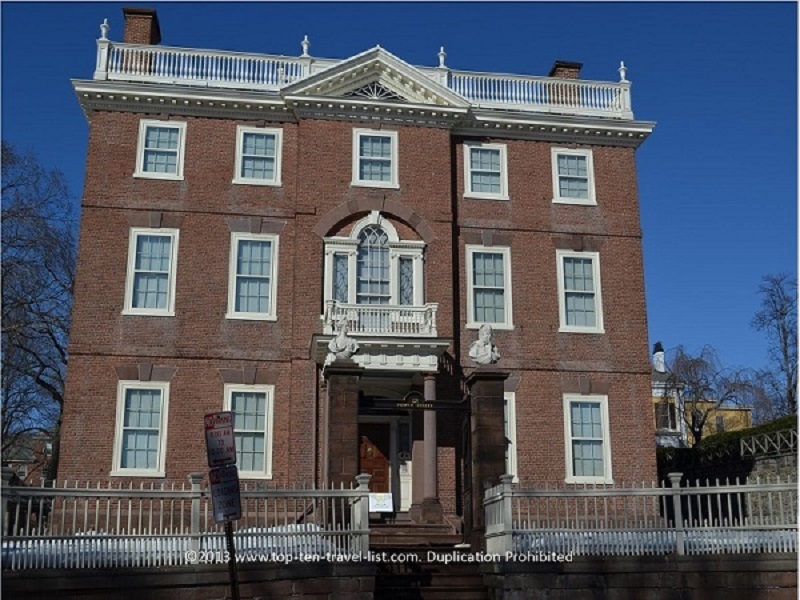 Significance: Designed by Charles Bulfinch (also designed the Massachusetts State House), a notable architect of his time. Old Town Hall is the oldest building still standing in the city. 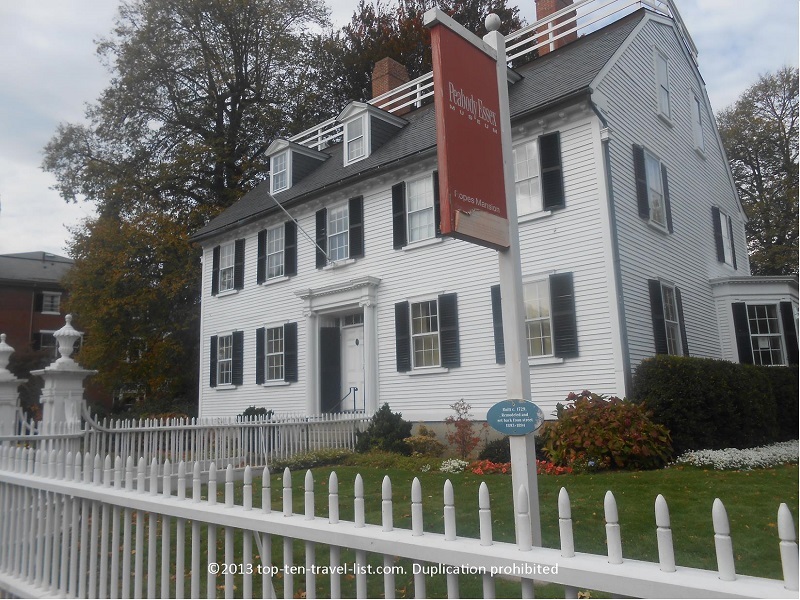 Significance: Former home of Nathaniel Ropes, a judge in the Salem Witch trials. 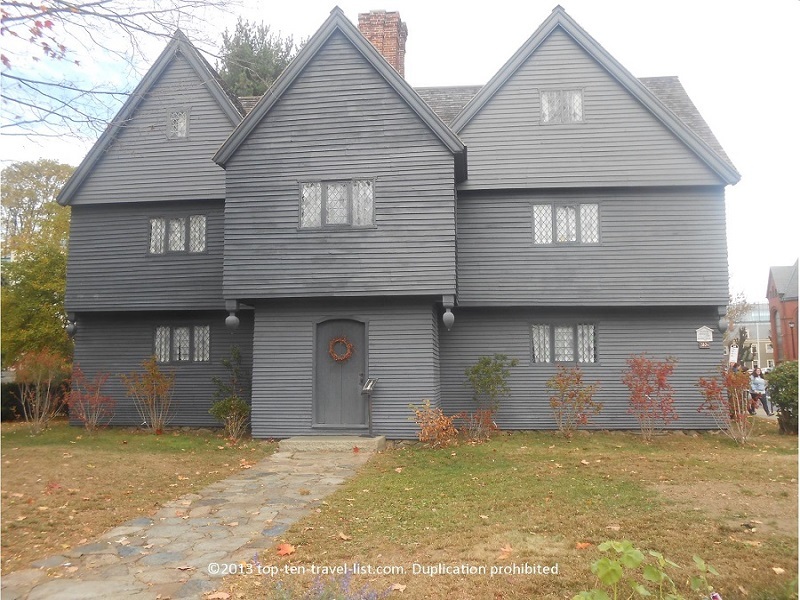 Significance: The Witch House is the only building connected to the Salem Witch Trials that stills stands today. It was the former home of Judge Corwin. Significance: This grand statue (including the pedestal it reaches a height of 150 feet!) 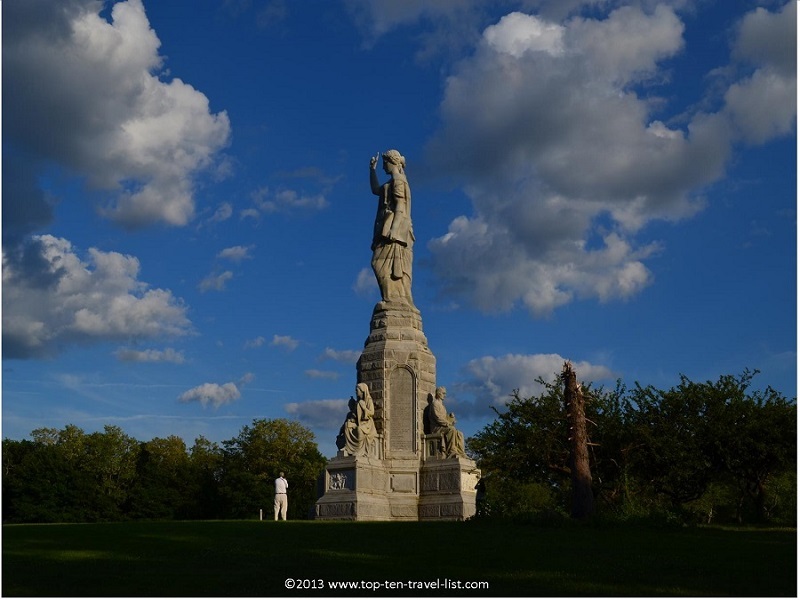 was built to commemorate the landing of the Pilgrims in Plymouth. 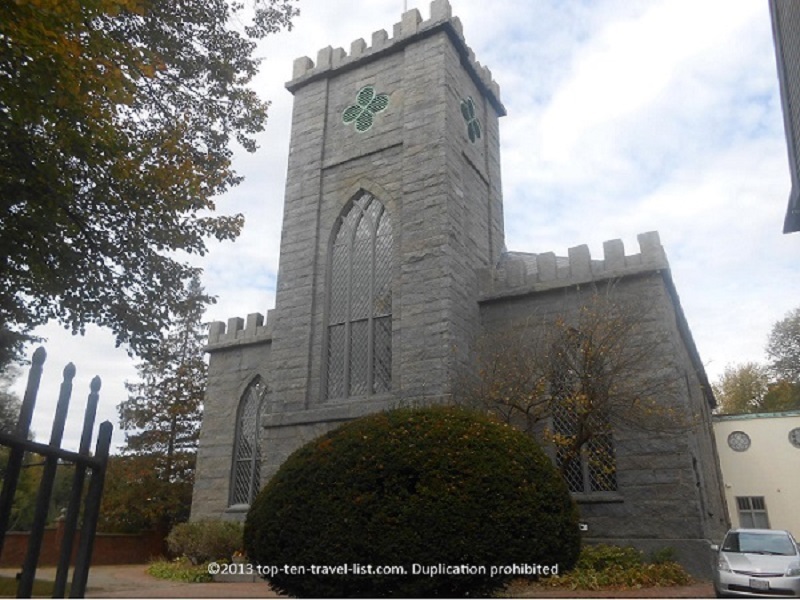 Significance: 1st Parish Church is the oldest continuously running church in New England. Significance: Built as a tribute to Harry Widener, one of the passengers on the Titanic. 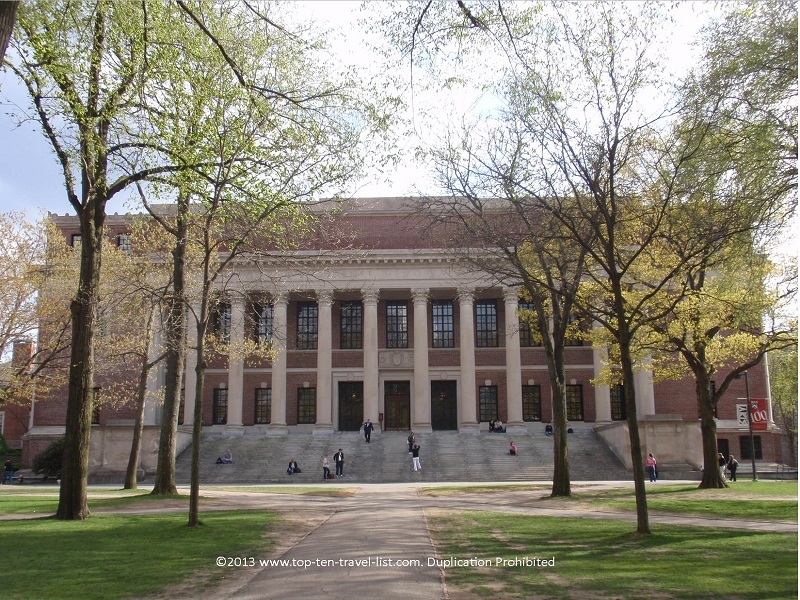 Significance: The institute was formed when Harvard University and Radcliffe college combined. 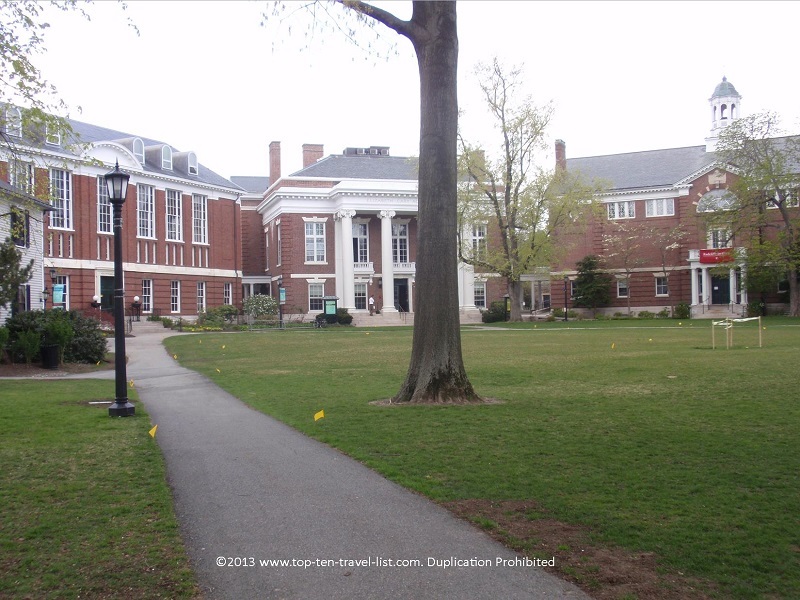 Radcliffe College was an all women’s university which operated from 1879-1999. Significance: In 1892, Lizzie Borden was acquitted of murdering her parents with an ax. To this day, no one is sure of the real story and speculation continues today as to who really murdered her parents. The house now operates as a bed and breakfast, in addition to daily tours through each room. 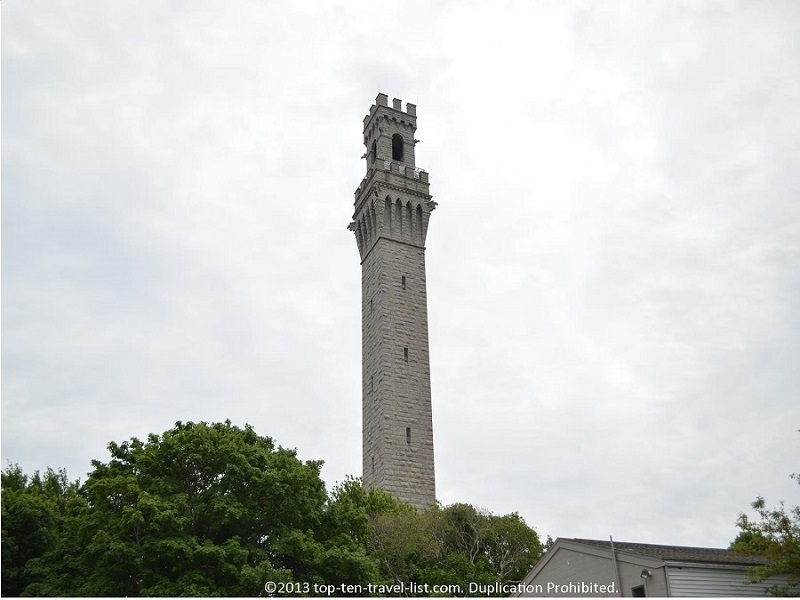 Significance: This grand 252 feet tall structure was built to commemorate the landing of the Pilgrims in Provincetown. 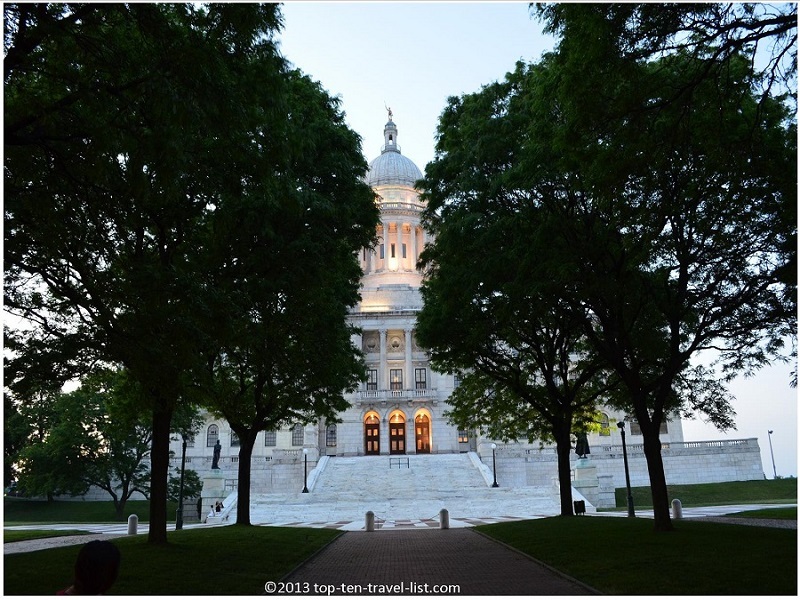 Significance: Rhode Island’s beautiful capitol building is home to the 4th largest self supported marble dome in the world. 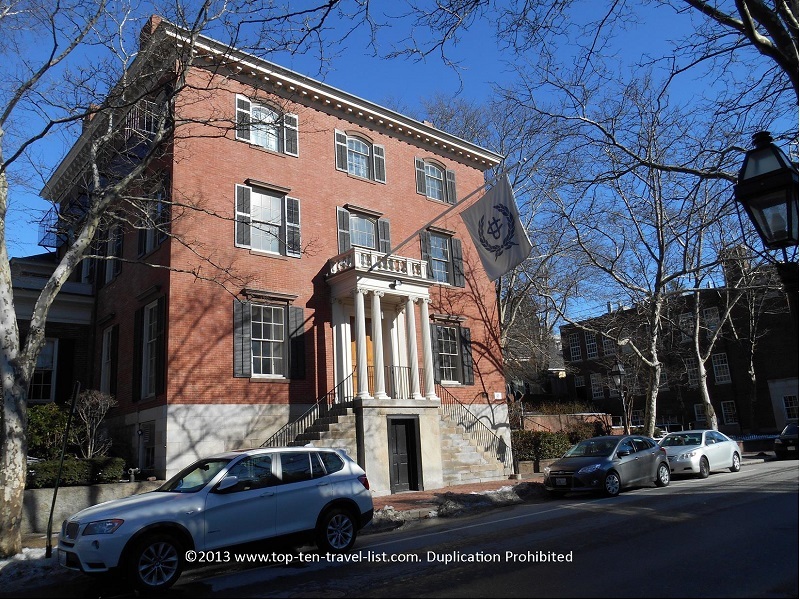 Significance: Former home of John Brown, the famous 18th century slave trader. Significance: Located in the College Hill section of Providence, this historic home which once belonged to Nicholas Brown Jr. (the son of Nicholas Brown Sr., the co-founder of Brown University) is now home to the Nicholas Brown Center for Public Humanities and Cultural Heritage at Brown University. 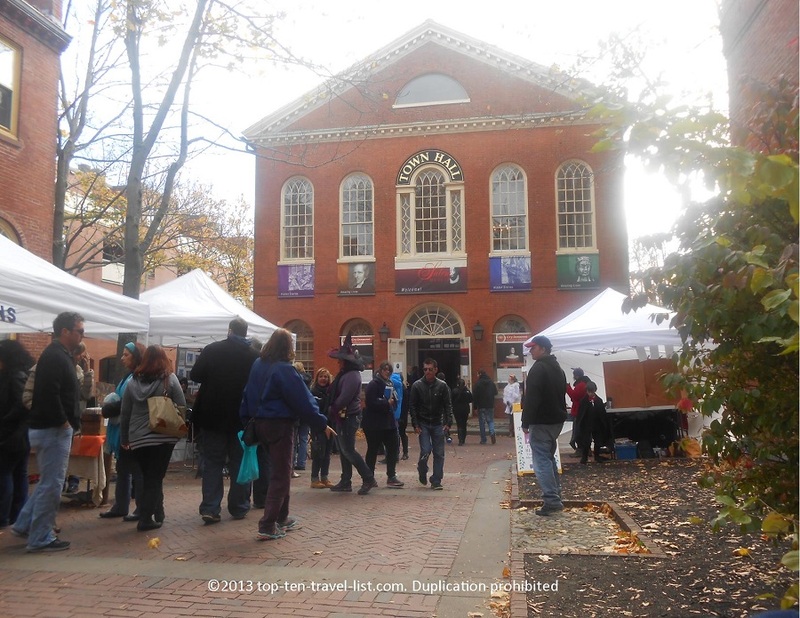 Significance: This historic library, the 4th oldest in the US, is now open to the public. 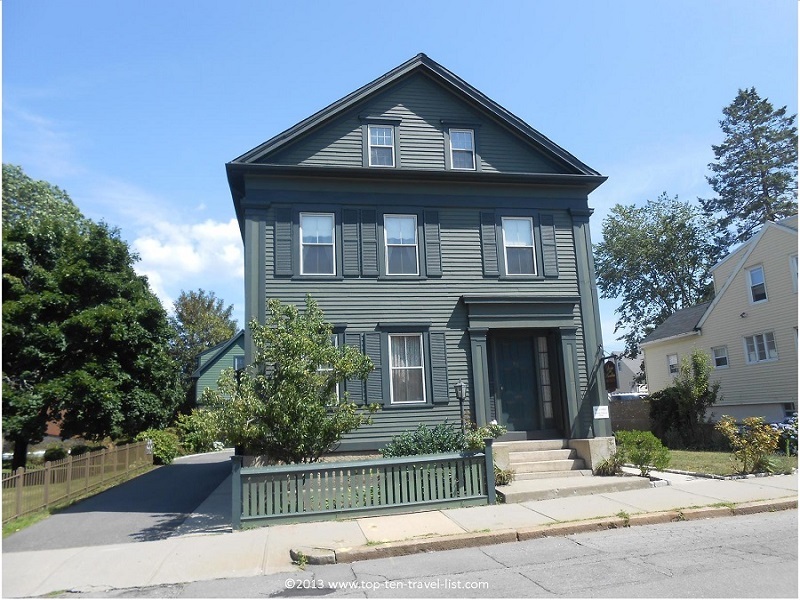 Significance: This historic house is located on Providence’s Benefit Street, one of oldest streets in town. 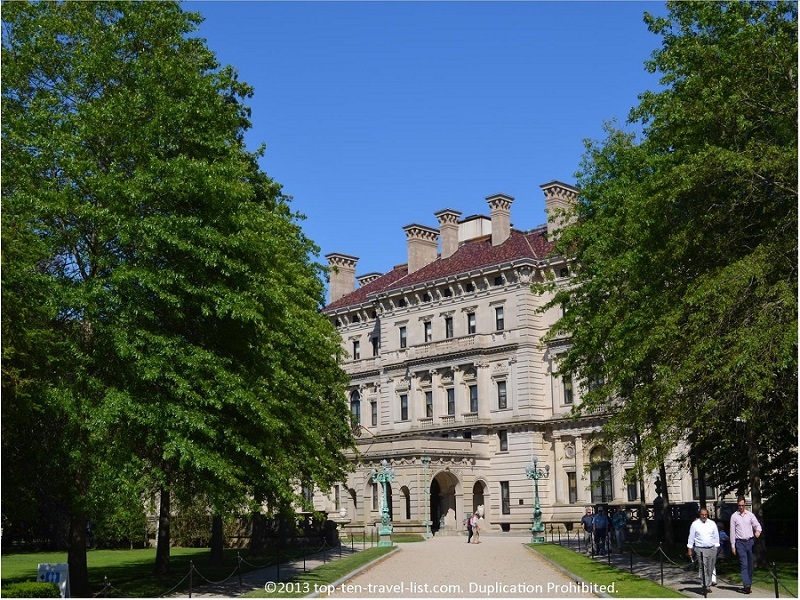 Significance: The most famous of the historic Newport Mansions, The Breakers was the summer home of Cornelius Vanderbilt. This masterpiece comes in at an over the top 138,000+ square feet. Significance: This gorgeous university is located on Newport’s beautiful CliffWalk. 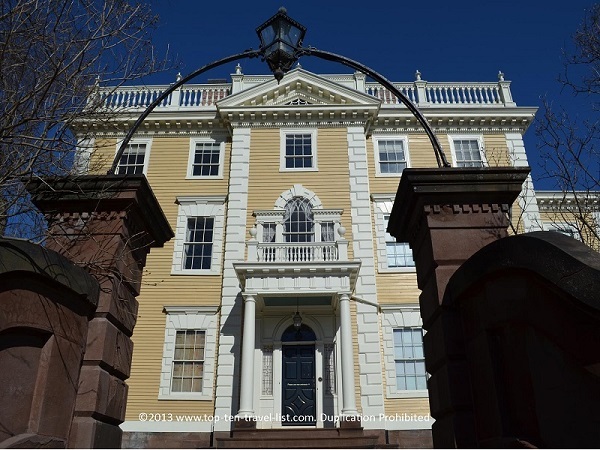 Ochre Court, the administrative building, is the 2nd largest of the Newport Mansions. 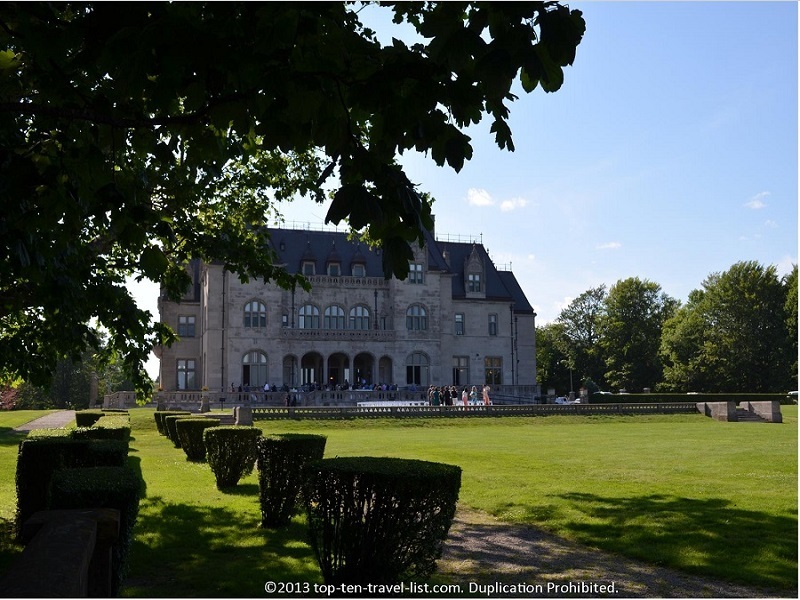 Significance: A private boarding school founded in 1896 that has a magnificent location on a hill overlooking the gorgeous Rhode Island coast. 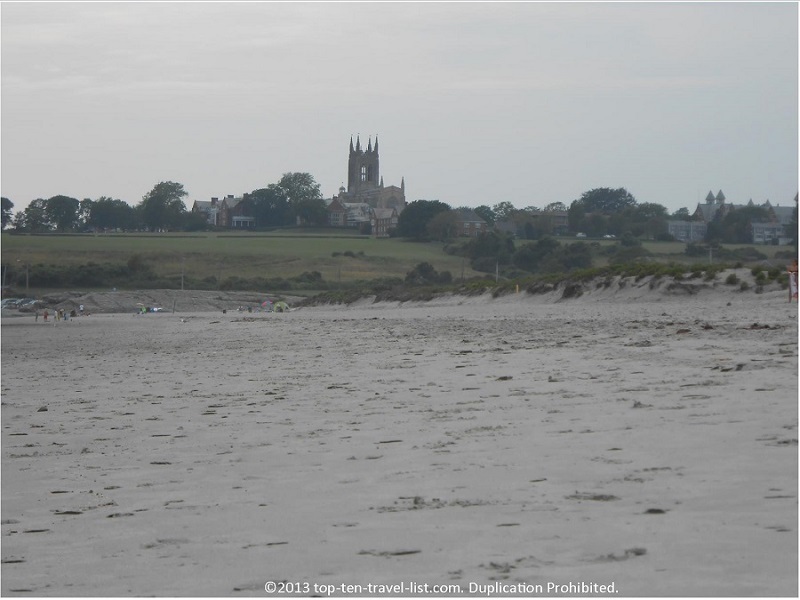 Second Beach in Middletown (pictured below) provides great views of this grand building. Have you visited any of the sites on this list? 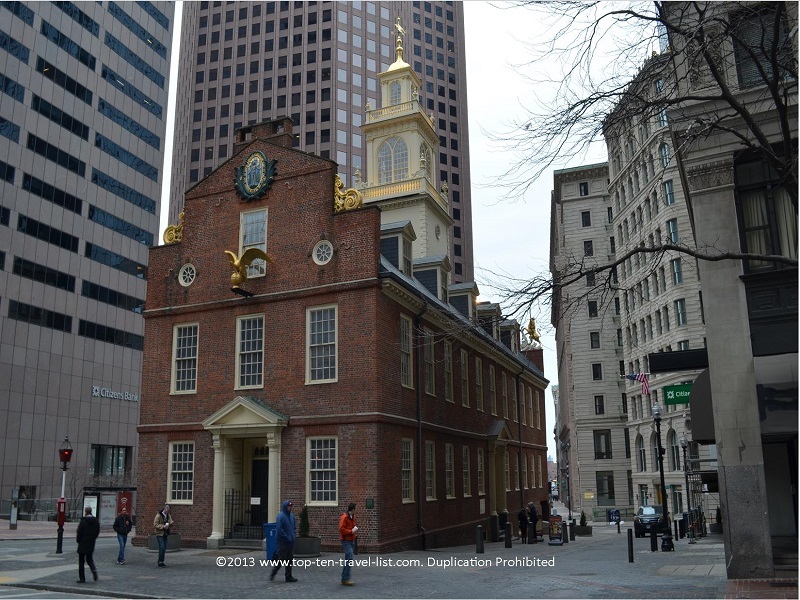 What are some of your favorite historical places in Massachusetts and Rhode Island?